Summer reading lists usually entail works of fiction or history – something of a lighter fare that can be picked up and put down with ease. This list may or may not reflect that genre as much as it is some recommendations from what I (John) have read so far this year. A Severe Mercy by Sheldon Vanauken – I can’t believe I’ve not read this book before now. There were so many layers of delight to this book. Sheldon, a student at Oxford during C.S. Lewis’s time there, shares of the fierce commitment to marriage he and his wife shared. That commitment was then threatened by two great occasions: their journey of faith (which Lewis played a key part), and his wife’s early death. What they learned about marriage, one another, and Christ along the way brought perspective and hope in dark moments of struggle. For me this book re-invigorated a vision for ministering together with Julie more, one we shared when we started in marriage, but have not experienced to the fullest over the years. Surprised by the Voice of God and Even in Our Darkness by Jack Deere – I read Deere’s Surprised by the Power of the Spirit in Seminary (per Wayne Grudem’s direction) and found it refreshing. 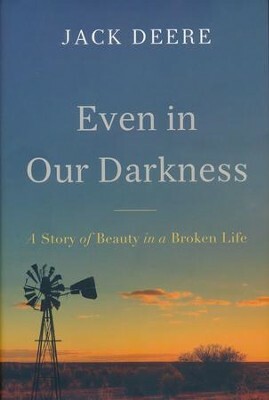 When I picked up his memoir, Even in our Darkness, I was borderline shocked to see a Christian author and speaker speak so candidly about his own struggles and sin. He began the pre-release version of the book something like (I’m paraphrasing), “Every time I get in front of a crowd to speak, I’m tempted to present myself as someone other than I really am. And when I do that, it causes Christians to go inward with their sin, and that’s a great disservice to them and the Church, because sin grows in the dark. But now no one can fire me and I’m too old to care what anyone thinks.” I was so encouraged by his transparency, I picked up another of his books, Surprised by the Voice of God, where he sought to make a biblical case for why we should still expect to see God move today through visions, dreams, prophecies, and healings. Definitely worth reading. I’d put this near the top of your summer list. The Normal Christian Life by Watchman Nee – A pastor who had a big influence in my life in college was a huge fan of Watchman Nee. For some reason I’ve never read Nee till reading his most well known work this year. Nee has a way of writing with clarity and down-to-earth illustrations that drive home complex biblical truths with simplicity. Some might say he’s overly simplistic at times, but it’s still worth the read. Fahrenheit 451 by Ray Bradbury – I’ve read this book at least once a year now for a few years. I love the subtle way it helps make sense of the world we live in (and puts flesh on Postman’s Amusing Ourselves to Death). This time I listened to the audio book read by Tim Robbins and it was FANTASTIC. 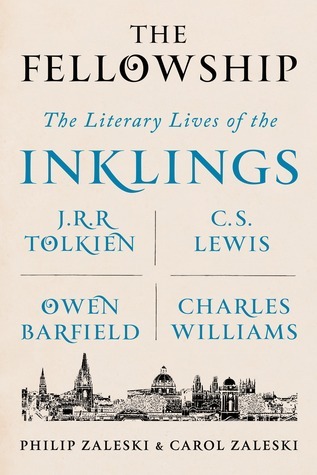 The Fellowship: The Literary Lives of the Inklings by Philip and Carol Zaleski – Found it more interesting than Humphrey Carpenter’s treatment of the Inklings, though that was well done as well. If you like reading about C.S. Lewis and his friendship with Tolkien and other contemporary writers – you’ll find this treatment of their literary influence a wonderful journey into their inner world. 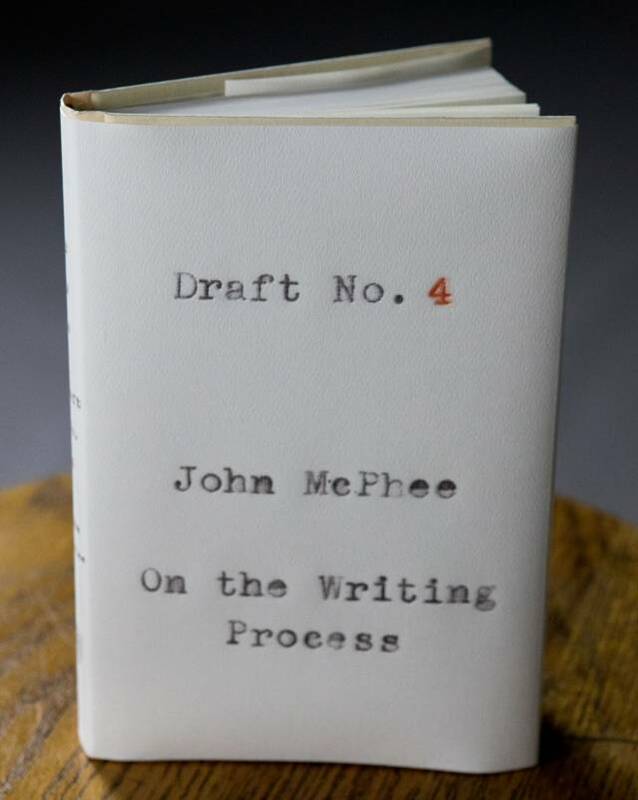 Draft no.4 by John McPhee – A book form summary of McPhee’s college course on writing. Loved it so much I read a couple of his online essays (This one was fantastic) and three more of his books, of which I found La Place de la Concorde Suisse the most enjoyable. His approach to writing and research awoke something inside of me and finally gave me the impetus to get rolling on a long article about what I’ve learned from reading over 2,200 pages of C.S. Lewis’ letters. Amazing Grace: William Wilberforce and the Heroic Campaign to End Slavery by Eric Metaxas – The movie based on this book was without a doubt the most life altering movie I’ve ever watched. After leaving the Phoenix theater where Julie and I watched it back in 2007 or so, we were both so stunned that we could do nothing but sit in silence for over an hour before heading back home. The book was every bit as good and worth taking the time to read. Desiring the Kingdom by James K.A. Smith – a little deeper version of his book You Are What You Love. If you haven’t read the latter, go there first. Both drive home the importance of fostering our affection for Christ through spiritual habits. Westerners tend to think the life of the mind is what governs our spiritual lives, but really we are much more fickle creatures than we like to believe, driven by our guts and hearts more often than our intellect. Martin Luther by Eric Metaxas – Loved Metaxas’ bio on Bonhoeffer, and this one I found even more engaging (though some have said the opposite). I like how he approached the book attempting to debunk some of the long standing myths surrounding Luther’s life. Yet at the same time this did nothing to diminish the staggering influence Luther had on the world. In fact, Metaxas says early in the book that apart from Paul (and Jesus, of course), no other figure in Christian history has had as big of an influence on the church. Don’t Sleep, There are Snakes – by Daniel Everett. 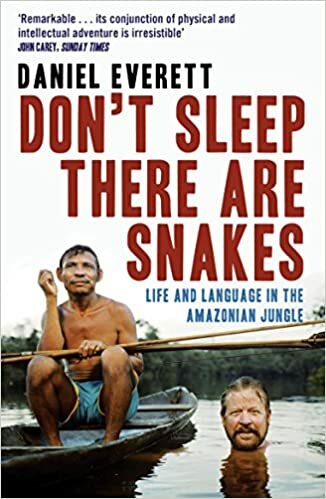 A man takes his family to live with a remote Amazon tribe, seeking to learn their language that has left many stumped by its un orthodox structure. What he learns about life along the way leaves him questioning the faith that brought him there to begin with. The book has a number of mind blowing stories (like how two family members barely survived a near-death sickness by taking an epic journey through the jungle). But what I came away from the book pondering for months was his observation of how incredibly happy their culture was. Scientist even came to study this tribe and came to the conclusion (Based on things like time spent smiling and laughing sincerely) that they were measurably the happiest people on the planet. Everett wondered how this remote pagan tribe could be more happy about life than the average Christian in the USA. It rattled him deeply, and it rattle me a bit too. Most American Christians I know have every modern comfort one could ever desire. No need ever goes unmet, and yet many are stressed out and sour faced most of the day. I’M GUILTY AS WELL. This should not be so.